Dumbing Down The Sound: Madonna's Disastrous Effect on Music & Pop Culture: Marlene Dietrich: Why she hated Madonna. 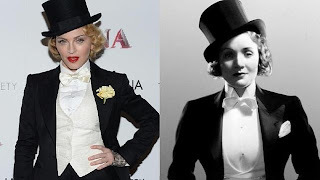 Marlene Dietrich: Why she hated Madonna. 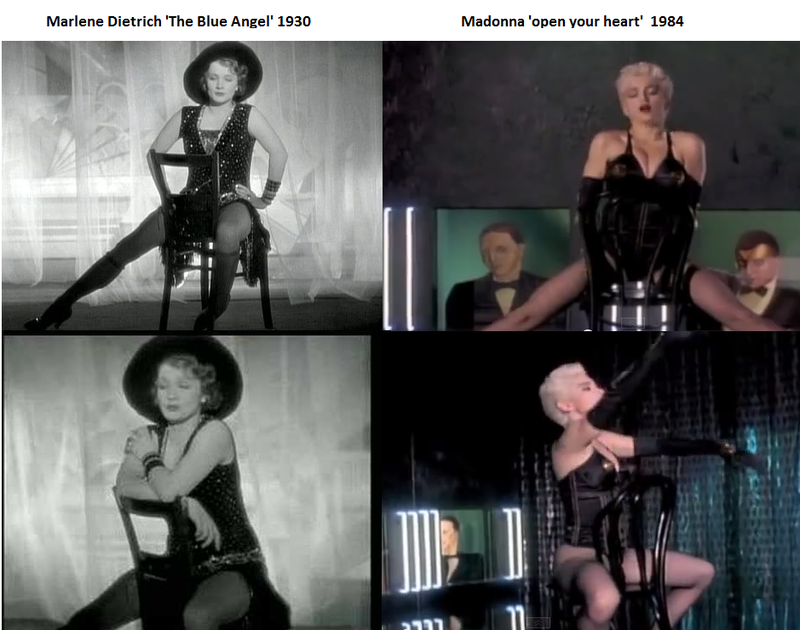 Basically because Madonna ripped her off many times. 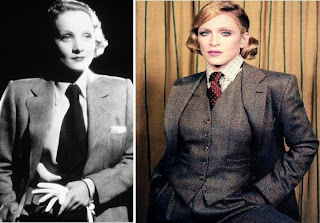 When Madonna pathetically claimed she wanted to star in her own remake of "Blue Angel" the great Dietrich was clear that it could never be her and that she wanted Tina Turner to not only be Blue Angel but play her in any bio pic. 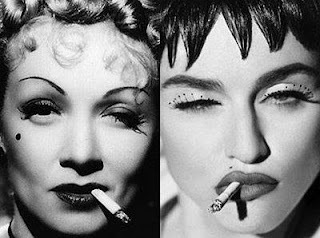 Madonna copied many Marlene's looks in The Girlie Show and she even pathetically tried to speak like Marlene while singing saying 'Like a virgin' lyrics. That was a real disaster. 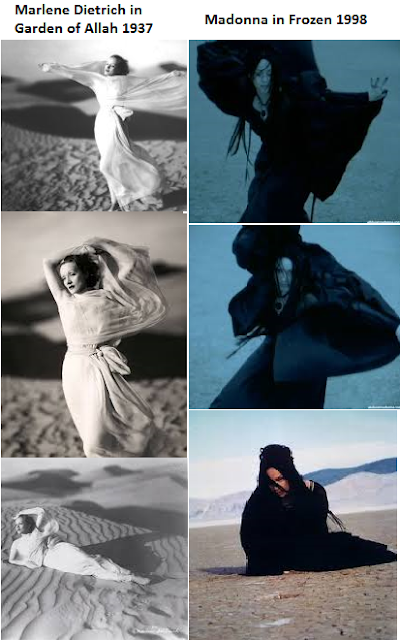 Many music videos such as I'm a ruin Sledgehammer or Aya were compared to 'Frozen'. 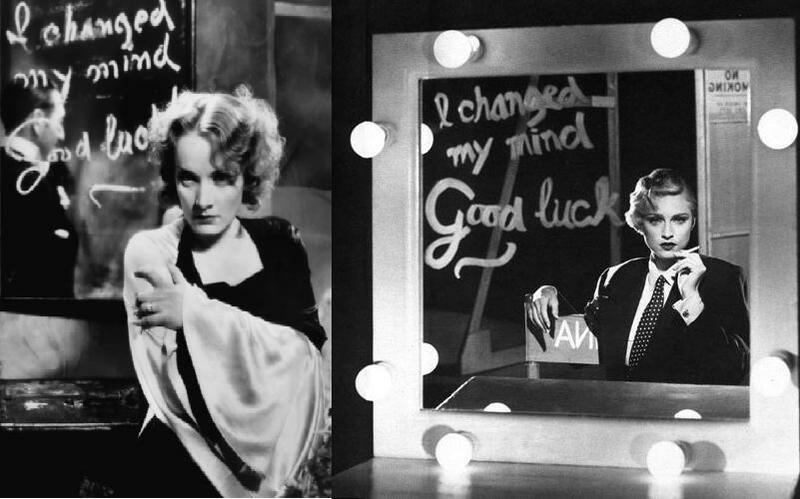 None of Madgestans has ever mentioned 'The Garden of Allah' movie with Marlene, one of her biggest inspiration that she loves so much. 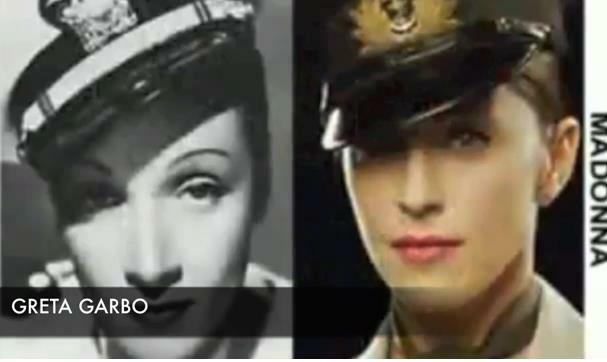 They can only shout that Madge pays tributes to other actresses, yet when other singers do the same they're compard with Madonut. Don't they know anything about their idol's inspirations or do they try to tell us out how 'influential' Madge is? 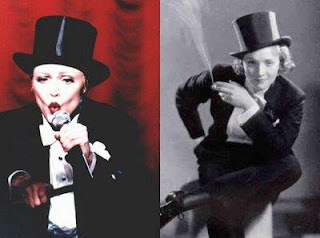 The one pic is more Cabaret inspired, Madonna is a classically trained dancer and being inspired by dance revues would be pretty normal as a dancer and artist. Paying homage to someone who one loves, paying open homage, is also nothing negative. To the contrary, it's openly celebrating works of art. There is a difference between paying homage and impersonating someone whole life. Plus Marlene didn't want any "homage" from Madonna. 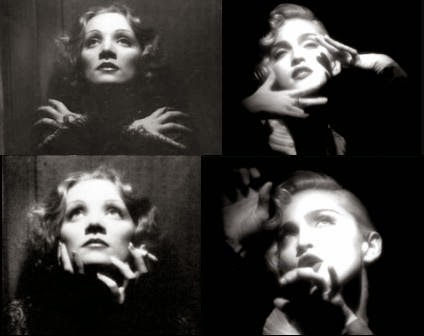 "Marlene HATED Madonna. This did not thwart Madonna from ripping her off in well over TWO DOZEN photo shoots, outfits and poses. 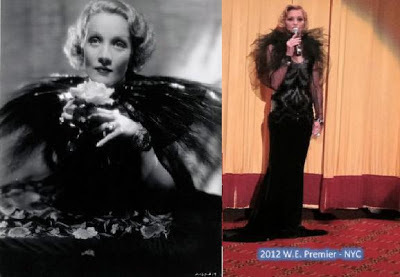 When Madonna pathetically claimed she wanted to star in her own remake of "Blue Angel" the great Dietrich was clear that it could never be her and that she wanted Tina Turner to not only be Blue Angel but play her in any bio pic. 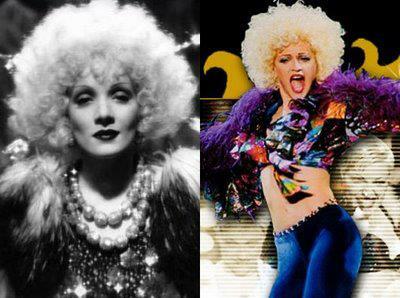 Madonna stole also her blond Afro wig for the Girlie Show and so, so many other looks. "I ACTED with vulgarity, Madonna IS vulgar." 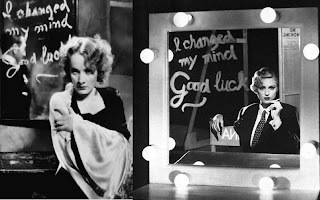 -Marlene Dietrich "
"When Madonna pathetically claimed she wanted to star in her own remake of "Blue Angel" the great Dietrich was clear that it could never be her and that she wanted Tina Turner to not only be Blue Angel but play her in any bio pic."